I REFER to the letter, ‘An education wish list’, (NST, May 20). The writer hoped that Prime Minister Tun Dr Mahathir Mohamad would bring back the Teaching and Learning of Science and Mathematics in English (PPSMI) policy so that Malaysians could improve their English literacy and proficiency. I share her concern about the declining standard of English among schoolchildren and graduates, and I can understand her frustration at the continuing debate on the drawbacks of PPSMI by its detractors. But, the best way to teach English in schools is to teach it as a second language. Teaching English to non-native speakers by non-native speaking teachers, as is the case in Malaysia, can be challenging. The main problem is the low English proficiency of teachers and the rote learning method of teaching it. As a scientist, I look for hard evidence why we should not bring back PPSMI. The most obvious reason is the success stories of Japan and China, which implemented teaching and learning of Science and Mathematics in their mother tongue. This, however, is not the only reason why Malaysia should not bring back PPSMI. A more serious reason is the failure to improve Science and Mathematics achievements among schoolchildren. The failure could be traced to two international rankings — the Trends in International Mathematics and Science Study (TIMSS) for eighth-grade students, and the Programme for International Student Assessment (PISA) for 15-year-old students. The TIMSS results from 1999 (before PPSMI was introduced) to 2015 (after PPSMI ended), declined drastically compared with other countries, except in Singapore and Hong Kong, which used their mother tongue or national language for the subjects. 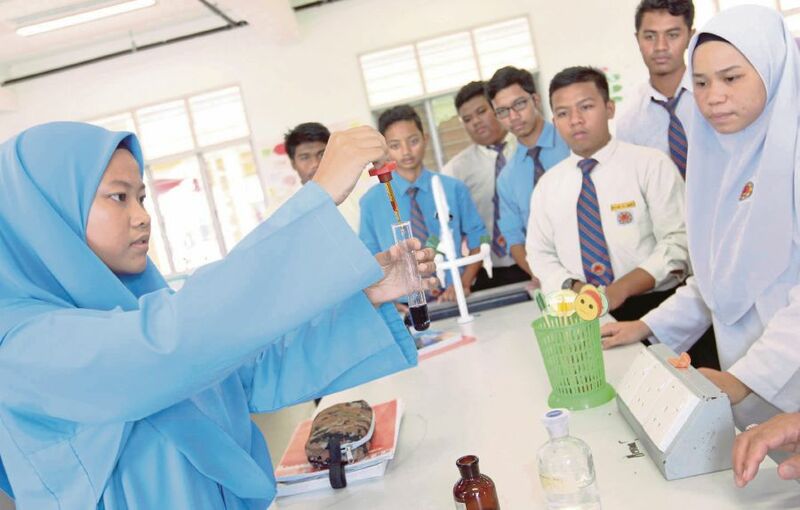 Malaysian students’ Science achievement rose slightly from 22nd place in 1999 (492) to 20th place above the international average in 2003 (510) before the introduction of PPSMI, but declined steadily thereafter in rank and score below the international average to 21st place in 2007 (471) and 32nd place in 2011 (426). It recovered slightly to 24th place in 2015 (471) when PPSMI was removed. A similar trend could be seen in Mathematics achievement, which rose dramatically from 16th place in 1999 (519) to ninth place above the international average in 2003 (508), but declined steadily in rank and score below the international average to 20th place in 2007 (474) and 27th place in 2011 (440), but recovered slightly to 22nd place in 2015 (465). Although students’ Science achievement in PISA rose from 53rd place in 2012 (421) to 48th place in 2015 (443) and, in Mathematics, rose from 52nd place in 2012 (420) to 46th place in 2015 (446), it is still below the international average and well below countries that use their mother tongue in the teaching of Science and Mathematics. There’s also overwhelming evidence that former British colonies that gained independence much earlier than Malaysia, like Nigeria, Ghana, Kenya, Tanzania, Sudan and Cameroon, which kept English-medium schools and teach Science, Technology, Engineering, and Mathematics (STEM) in English, remain underdeveloped in STEM. That is why the United Nations Educational, Scientific and Cultural Organisation recommends teaching Science and Mathematics in the mother tongue or national language. Many of our promising young scientists, like Dr Nur Adlyka Ainul Annuar, who detected black holes, and Dr Hafizah Noor Isa, who detected gravitational waves, learned STEM in Bahasa Melayu before PPSMI was implemented. They are fine examples of young scientists who learned STEM in BM, but have no problems communicating in English. y Professor Datuk Dr Wan Ramli Wan Daud. This entry was posted on Thursday, May 31st, 2018 at 9:12 am	and is filed under Teaching of Science and Mathematics. You can follow any responses to this entry through the RSS 2.0 feed. Both comments and pings are currently closed.